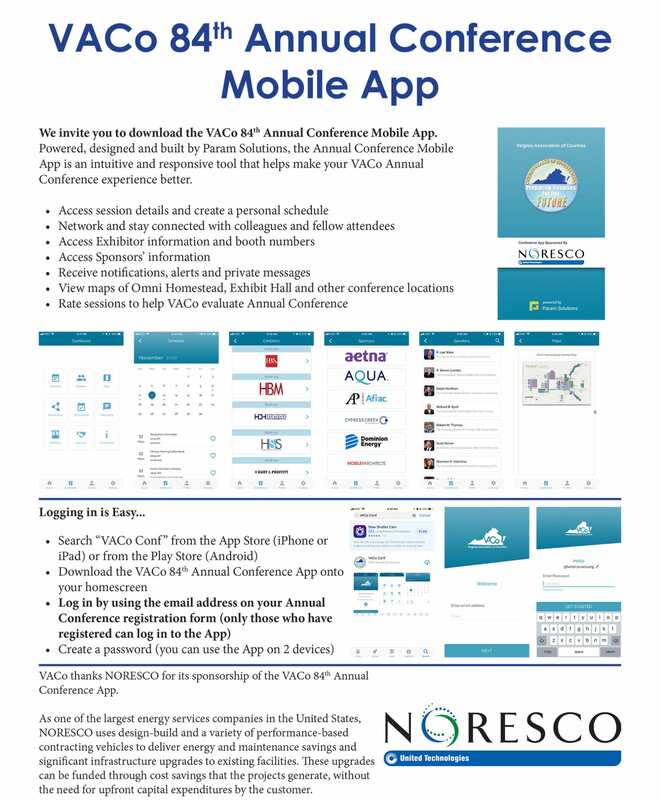 As a registrant of the VACo 84th Annual Conference, you are invited to download the event Mobile App. The Mobile App provides all kinds of useful information to help you navigate the Annual Conference. It also allows you to create a personal schedule, access exhibitor and sponsor information as well as network with other attendees. Click here for instructions to download the app and how to set it up.